What does your mammogram number mean? What is accelerated partial breast irradiation? If there’s one thing we can all count on, it’s change. It seems that conflicting studies involving your risk of developing breast cancer are released every year and leave us scrambling to ingest the latest news – only to have it reversed and flipped on it’s head. So as you read on, take these studies with a grain of salt and remember that a solid, overall rule of thumb is always: everything in moderation. So, if you followed the links above, you’ll notice the topic of weighing the affects of alcohol before and after a breast cancer diagnosis. In 2011, it was reported, “even a few drinks can boost your risk breast cancer.” — few, meaning three to six glasses of wine per week. But now a new study has been released that has found that drinking before and after a breast cancer diagnosis does not hurt women’s survival rate; and in a percentage of cases actually seemed to improve survival. Women that consumed three to six glasses of wine per week during the time before they developed cancer were 15% less likely to pass away of heart disease related conditions compared to women who didn’t drink. The benefits were seen most with wine, while beer and other drinks (including heavy drinking) did not translate to lower death rates from heart problems. Drinking following a diagnosis doesn’t seem to affect any of the participants’ survival from breast cancer, but it did reduce their risk of dying from heart disease. Bottom-line, moderate drinking is proven to be beneficial to your heart. 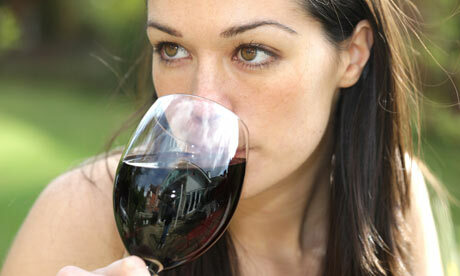 The current research indicates that past and continued drinking won’t negatively affect survival from breast cancer. And, as the Greek philosopher Heraclitus’ philosophy dictates: “Nothing endures but change – not sure Heraclitus was referring to breast cancer research. "Because of your and your expertise and careing, I am here enjoying a much better year. Thank you again for the being the best "Doc" ever! Me and Bob won't rub in how much we are enjoying our two months in Florida :). See you soon!" "We consider you very valuable for all you do for us. Your planning with the best teams ... you are captain of the ship!" "You obviously really care about your patients and follow up is really appreciated!" "It is rare one finds a doctor so wholly suited to the medical profession: your hands saved my life and your kindness gave me the confidence to let them. God bless you." "Thanks is such a little word but it has brought more real appreciation than a hundred words could say. Thanks most of all for just being you!" Thank you Dr. Brown and Sandy for the care and concern you have shown me, from the moment I walked in your office I was confident everything would be fine. My biopsy surgery..... I saw Dr. Brown he had a smile of encouragement on his face although I was extremely nervous and concerned I had to relax when I saw Dr. Brown. Although my process is just getting started I will continue to trust in the God given talents of my surgeon. My best to you and your staff! "Words cannot begin to describe how comfortable and relaxed you made me feel during this time of my life. Your are an extremely passionate and caring doctor. I am deeply grateful for you! Thanks you." "I am so grateful to have been referred to you and the Comprehensive Breast Care practice when I found out I needed cancer treatment. I can't say enough - to anyone I meet - about the amazing,, considerate, empathetic care I got as your patient! You have gone above and beyond to perfect the process of helping patients get through breast cancer - that is second to none! You are an amazing doctor and surgeon - but it is through your ability to reassure, encourage, empathize and TEACH that you shine so bright." "After reading the National Cancer Institutes study regarding Oncotype DX, I felt compelled to once again 'thank you' for having the inside to utilize this test for me over 21/2 years ago. When the result was right in the middle and I was ver hesitant to undergo chemo, you went a step further and ordered a Mammaprint the happily indicated that chemo would not be needed. I so appreciate your intellect, compassion and professionalism and once again want to offer you my heartfelt thank you for all you do!!" Thank you so much for going "above and beyond" for me. Your skill as a surgeon saved my life. Your compassion saved my spirit during one of the most frightening times of my life. Dr. Brown, thank you so very much for all that you've done to help me. I can't imagine having to go through this without such kind support. Now I know why my friends were so happy to hear that you were my surgeon Dr. Brown! May God bless you and yours. We walked into your office with very little information or explanation ... we were scared and nervous to say the least. As soon as Dr. Gold entered the room and started speaking, the fears and anxiety started to fade. Dr. Gold is not only extremely knowledgeable in her field of expertise, but her interaction with us was very professional yet very personal. Dr. Gold spent a lot of time with us explaining the cancer, options for treatment, and outlined the next steps. We have never had such a good experience with any doctor! As a second time patient I really want to thank you all for truly making me feel at ease and cared for. It is good to be appreciated and I do appreciate you and your team Dr. Gold Thank you! Good doctors like you replace the fear of illness with trust in recovery. Thanks. Thank you just doesn't seem like enough to say to you and your staff for helping me through this difficult period in my life. I am truly grateful for your surgical skills and all the kind and encouraging words along the way. With my heartfel thank you for everything. Thank you for the excellent care and service you have provided. It is never easy for anybody to find out that they have cancer but you helped me navigate through it. You accomodated my time, made appoointments for me, and gave me advice and knowledge on the next steps that made this journey much easier for me. The level of care you are providing makes a difference, keep it up, patients really appreciate it! Thank you for taking the time to see me for an appointment. You are an extraordinary doctor and person. I appreciate the work of your staff. I am confident to leave my health in your good hands. Thank you for your time, compassion and professionalism. Dr. Brown. Words cannot convey how grateful I am to have had you as my surgeon. From the moment I met you, though I was frightened and fearful, I felt comfortable and confident in your ability. You have exactly what I needed: the perfect blend of knowledge, compassion and humor - each applied at the right time and in the right amount. You were patient in answering all my questions both before and after surgery. On the day of surgery your calm manner and gentle humor helped calm me.